BAKU, AZERBAIJAN. 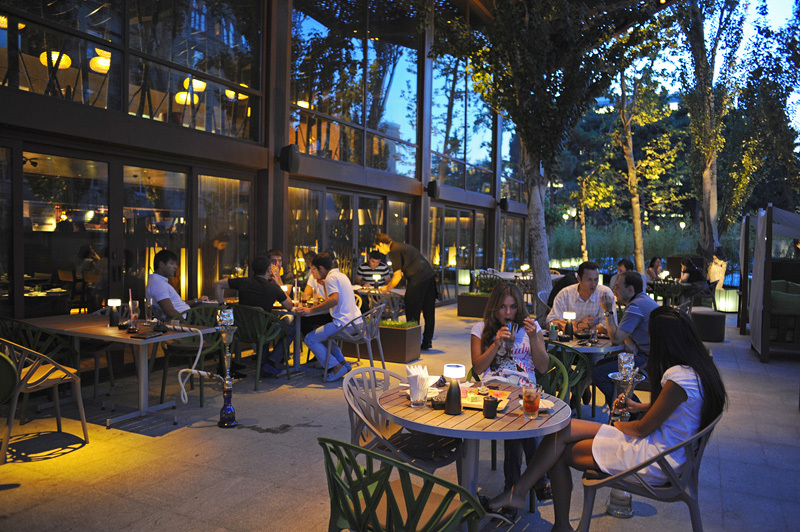 The outdoor patio lounge of the Chinar restaurant, a favorite restaurant among the local and expat elite and of Azerbaijan President Ilham Aliyev, on July 18, 2010. Chinar is owned by a relative of Aliyev.